Put on the oriental headband and let the fun begin! Demonstrate your uncanny ability to "karate chop" through paper!? That's right paper! Not through wooden boards or cinder blocks, you chop paper. When all is said and done, they will be amazed! A selected card is found in a most unusual way! 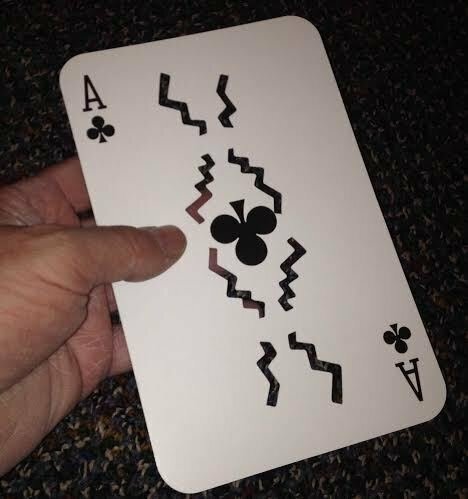 A deck of cards is spread face up and a spectator is asked to remember any card that they see. 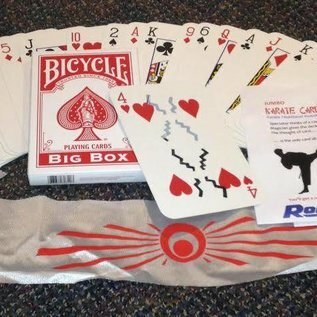 The deck is placed in its box, which is wrapped with an oriental headband. The headband is removed and tied around your head. Explain that you will demonstrate an ancient karate technique. 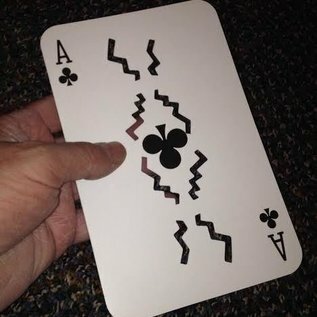 By hitting the deck with total concentration, you will penetrate all of the cards, breaking only one, the chosen card. 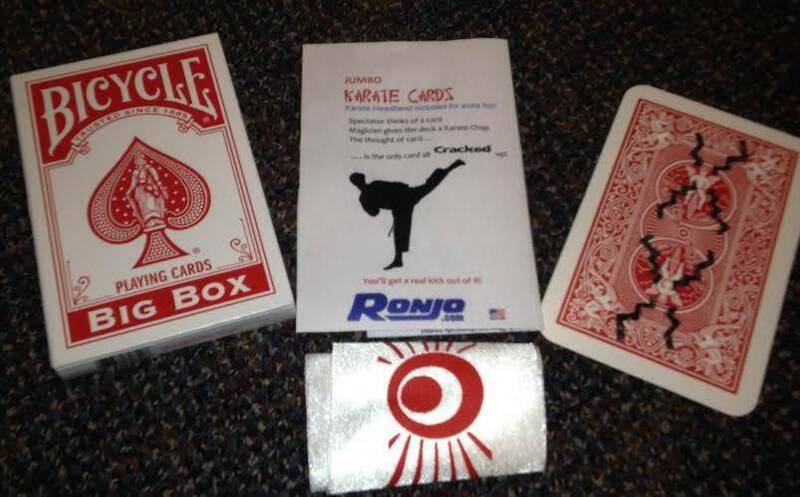 You focus on the deck, placing your hand in a karate chop position, on top of the cards. With a horrifying scream, you give the deck a karate chop. The fun begins when you remove the deck from the box, only to find that one of the cards is cracked, and yes it is the chosen card! 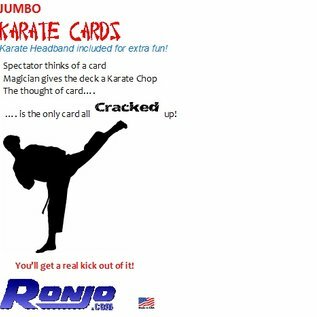 The Karate Card Trick comes with a deck of gimmicked cards, an oriental headband and instructions.